I had a serious déjà vu moment when I pulled today’s first reader tip from my inbox. Roseanne’s tip brought back a memory of my grandfather doing this very thing on the big, black cast iron wood range that sat in my grandparents’ tiny kitchen in Potlatch, Ida. The stove had a door with a glass window to observe the fire burning inside. When it would get covered with black soot and sticky grime, he would clean that door so my grandmother could see when she needed to add more wood to the stove. Sounds like something out of the dark ages, so for the record, I was a very, very young child! This is a trick I learned from my mother for cleaning the glass on the fireplace or stove doors that get fouled with smoke and soot, becoming opaque so you cannot see and enjoy the flame. First spread newspaper on the floor then open the door. Take another wadded up page of a newspaper, wet it, dip it in the ashes and use it to clean the glass. This will remove everything from the glass without scratching or harming it in any way. I responded immediately, directing Georgia to soak the stains with fresh, full-strength hydrogen peroxide. I heard back quickly. The hydrogen peroxide lightened the stains almost immediately, and within hours they disappeared completely. I’ll be honest that back then, removing blood stains was about all I ever used hydrogen peroxide for. And because it has such a short shelf life, I was forever throwing out old, useless hydrogen peroxide. Since then, I’ve learned so much and done extensive research and wow. The stuff is downright wonderful—so awesome in fact, I never throw hydrogen peroxide away anymore. It doesn’t have time in my home to age out. That’s how much I use it. 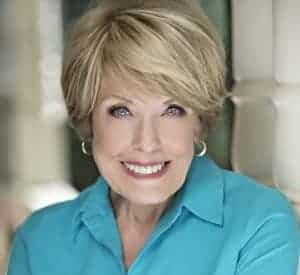 Recently, I got a frantic letter from Barbara, who lives in Florida. It seems that her teenage son has taken up bodybuilding and her husband is adhering rigidly to the Atkins Diet, both of which are protein heavy. Barb got through the first week with a major case of mixed emotions: Her husband lost 7 pounds, her son gained 4—and her food bill doubled! Can Barb keep her food costs down while still supporting her family’s healthy eating choices? I know she can. Special diets don’t have to be budget-busters. In the same ways her son and husband are adjusting their way of eating, Barb must adjust the way she shops. Tuna, chicken breasts, and lean beef cuts are always on sale somewhere. If you don’t want to store-hop, you can always find some cut of meat, fish, and poultry on sale in your favorite market. Eat what’s on sale and if it’s a loss-leader (that means dirt-cheap in an effort to entice people through the door), stock up for the coming weeks. Grab up the items that are marked down for quick sale because they are close to the “sell by” dates, and then freeze. 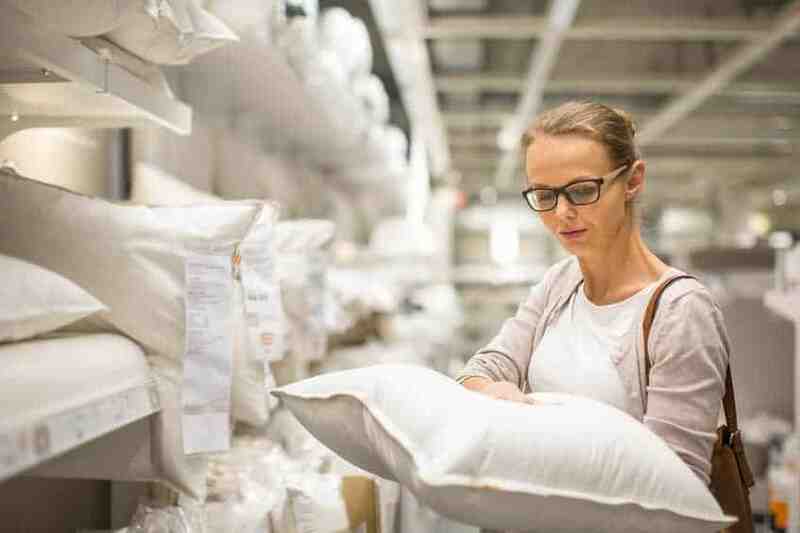 Find a warehouse club, ethnic market, health food store, or food coop that offers rice, beans, oatmeal, nuts and, legumes in bulk—by the pound. Store dry items in the freezer to retain freshness. Recently, I dropped off several out-of-prescription eyeglasses at a Walmart Vision Center, just one of many collection centers around the country that partner with Lions Clubs to collect old eyeglasses for those in need at home and medical missions abroad. With the cost of prescription eyeglasses equaling a year’s salary in some countries, donated eyeglasses are the best hope for bringing sight to many visually impaired people who could simply not afford the cost. The attendant kindly asked, however, that I not leave the cases. My first thought was to toss the cases into the trash on the way out and just be done with it. But it didn’t feel right. There just had to be a way to give new life to these sturdy, protective cases. 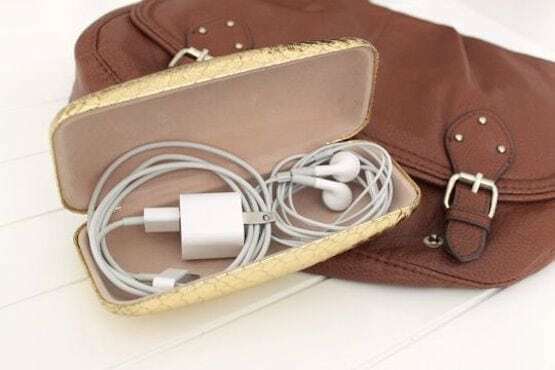 An eyeglasses case is a perfect size for headphones, charging cord for the typical mobile device. No more tangled mess. 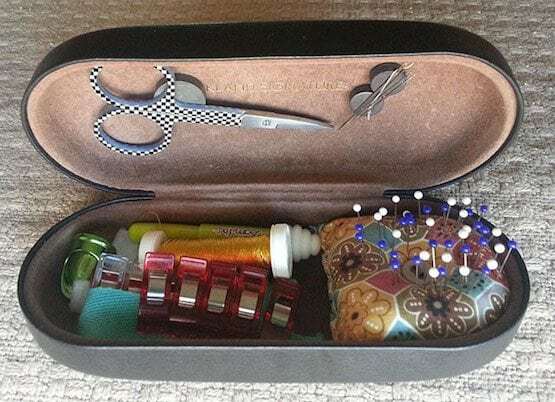 Travel-size thread, scissors, needles, pins, and so on fit easily inside one of these cases. Gluing a couple of magnets in the lid helps to keep sharp items in place so they’re handy. I remember my grandmother saying, “If we didn’t need food, we’d all be rich!” This may be true. But then, a life without food would be a little less pleasurable. Still, there are so many ways to make great food cheap, make perishable food last, and the grocery budget stretch like nobody’s business. Enjoy today’s tips, filled with practiced wisdom for practical solutions to make cooking and brewing coffee fun and rewarding for you and your family. Bon appétit! 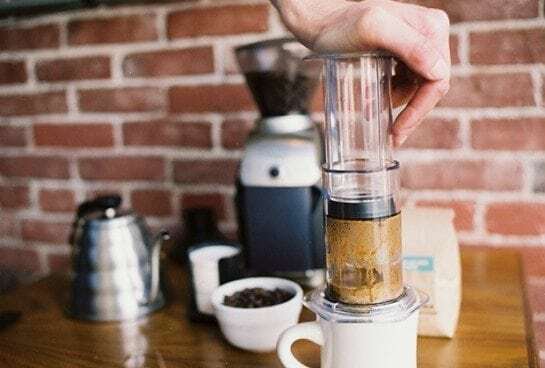 If you love coffee as much as I do and have never tried a gadget called AeroPress you are in for a delicious surprise. Aerobie is manual and the cheapest, easiest, fastest way to make a really great cup of coffee. And yes, I do mean just one cup of perfectly brewed coffee at a time—or up to three cups. Aerobie is small enough to store in your desk drawer at the office and another at home. Can’t break the $4-a-day Starbucks habit? This could do it. Whether you are naturally gifted in the kitchen or had the pleasure of growing up with some talented cooks who were happy to give you a few pointers along the way—lots of people shy away because they find cooking complicated, and even a bit confusing. Fortunately, there are tons of great little tricks that can help anyone improve their cooking game, and maybe get some interest in further developing their skills. 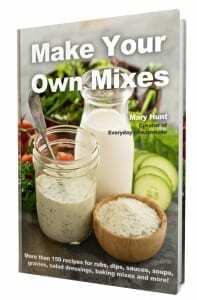 Here is a run-down of some really fun and useful cooking hacks that can benefit everyone, regardless of skill level. Ice cream can get rock hard in the freezer and it takes ages to thaw out just enough that you can eat it. 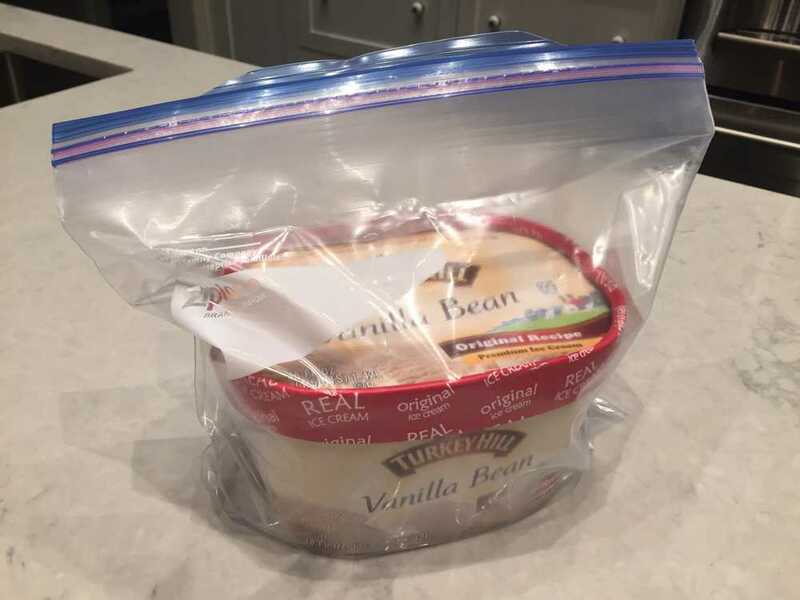 A simple trick to keep it just the right consistency is to put the container in a plastic freezer bag before throwing it in the freezer. 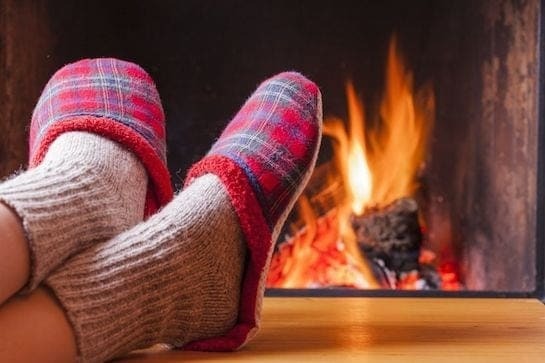 If I told you there are some really sneaky ways you can cut the cost to heat your home that won’t require wearing a parka 24/7, would I have your attention? Well, get ready, because that’s exactly what I have for you today. These easy tips could cut your heating bill by 20 percent or more, and none require more than 30 minutes of work. You will need to purchase a few inexpensive supplies, all of which are readily available online or at your local home improvement center. But don’t worry—you will quickly recoup those costs in lower heating bills. Open an outside door and look at that piece of “plastic molding” or strip of foam rubber that runs across the top and down both sides of doors and all the way around windows—designed to seal the air gap once closed. Is it torn, shredded, missing or otherwise not doing its job? Replace as necessary wherever it is allowing small drafts. Weatherstripping available online or at any home center comes with sticky-back adhesive which makes it a cinch to install. HERE is a 5-minute video that shows exactly how to do this. Easy! Look under your front door and any other outside doors. See any daylight? That’s where precious warmed air is being sucked out into the cold. You may be able to adjust the threshold to close this gap. Look for four or five screws that when loosened will allow you to adjust the threshold height. Worried you missed out on all the After Christmas sales? Well, dry your tears because some of the best sales of the year are going live in retail and online stores everywhere. Most everyone starts a New Year with resolutions and intentions to get his or her life in order, but if you can stay organized until mid-January without a calendar, expect to save over 50% on most calendars and planners. 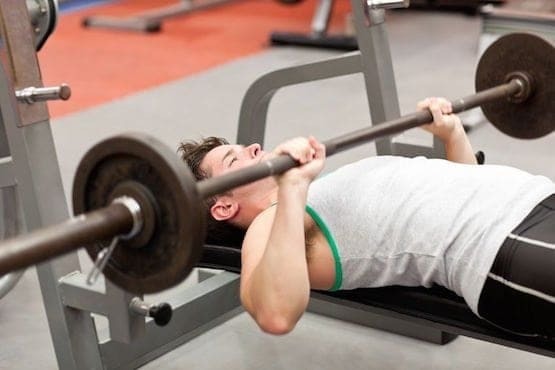 Most people include getting physically fit on their list of New Year’s resolutions, which is why January is a great time to sign up for a gym membership. If the past is any indication of the future you can expect gyms to waive extra fees (which can add an extra $10 to $100 to your annual membership), offer free trials, or give discounted rates to new members in January. After the holidays and when New Year’s resolutions are still in force, stores will start to lure customers in with sales. Expect huge deals from 30% to 70% off.